Our 100% online DOT HAZMAT Training: Function Specific – Hazard Classes and Divisions course helps employees involved with hazardous materials transportation who need to understand hazard classes and divisions for their job function. This course meets training requirements for 49 CFR 172.704(a)(2)(i). Our online DOT HAZMAT Training: Function Specific – Hazard Classes and Divisions course is designed for Hazmat employees involved with hazardous materials transportation, such as shipment, manufacture, or carrying. This course will teach students about the 9 hazard classes and their divisions in the Hazardous Materials Table (HMT). The training will help students identify hazards and learn how materials in each class are handled, packaged, stored and transported. This course meets the requirements for 49 CFR 172.704(a)(2)(i). 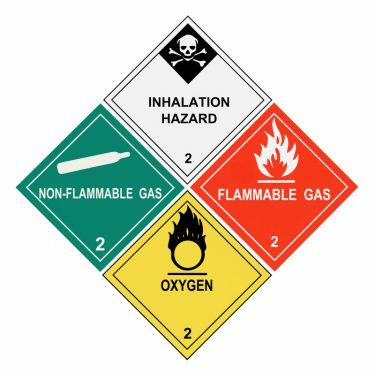 If you took our DOT HAZMAT Training: Basic General Awareness (4 Hours) course, this function-specific class will provide expanded training regarding placarding. If you took our DOT HAZMAT Training: General Awareness/Function Specific (10 Hours) course, this course’s contents were included. This course is is provided 100% online and available 24/7 through our Online Training System (OTS). The training material is fully narrated and self-paced. This DOT HAZMAT hazard classification and divisions course was designed by Certified Outreach Trainers to include interactive, high quality training which emphasizes the information you need to know for your safety and learning. With this course, you can stop and start the training at your convenience, and save your progress to the last section completed. We also provide a downloadable/printable student manual as a training resource for taking notes and for future reference. Students may take up to 6 months, if desired, to complete the course after enrollment. We offer a 100% Money Back Guarantee* to ensure you are satisfied with the training. Once the course is completed, you will immediately be able to download, save or print your Course Completion Certificate which is provided in PDF format. We also mail you a PVC credit card style Wallet ID Card with optional photo, showing training course completion. The card will be mailed within 24 hours of course completion. Class 1: Explosives | Explosive Types | Division 1.1 Mass Explosion Hazard | Division 1.2 Projectile Hazard | Division 1.3 Minor Blast / Projectile / Fire | Division 1.4 Minor Blast | Division 1.5 Insensitive Explosives | Division 1.6 Extremely Insensitive Explosives. Class 2: Compressed Gases & Types | Flammable Range | Division 2.1 Flammable Gases | Division 2.2 Non-flammable, Non-poisonous Gases. Class 3: Flammable and Combustible Liquids | Flash Point | Fire Point | Reclassifying Flammable as Combustible Liquids | Packing Groups | Class 3 Exceptions. Class 4: Flammable Solids | Division 4.1 Flammable Solids | Wetted Class 1 Explosives | Division 4.2 Spontaneously Combustible Solids | Pyrophoric and Self-Heating | Division 4.3 Dangerous When Wet. Class 5: Oxidizers and Organic Peroxides | Division 5.1 Oxidizers | Oxidizer Fire Hazards | Additional Oxidizer Hazards | Organic Peroxide Hazards. Class 6 : Toxic Materials | Division 6.1: Poisonous / Toxic Materials | LD50 and LC50 | Lab Testing | Biotoxins | Division 6.2: Infectious Substances | Cultures and Regulated Medical Waste | Patient Specimens | Biological Products. What are Radioactive Materials? | What is Radiation? | Common Sources of Radiation | Released vs. Absorbed | Safe Dosages | Effects of Radiation | Radiation Hazards | Transporting Radioactive Materials | Class 7: Radioactive Materials | Contaminated Materials. Class 8: Corrosive Materials | Corrosive Material Uses | Hazards. Class 9: Miscellaneous Hazardous Materials | Elevated Temperature | Hazardous Substances | Hazardous Waste | Hazardous Waste Lists | Characteristic, Universal, and Mixed Hazardous Wastes | LLMW, HLW, and MTRU | Marine Pollutants. Other Regulated Materials | ORM-A, ORM-B, ORM-C, ORM-D, ORM-E | Forbidden Materials. The objective of this DOT HAZMAT Hazard Classes and Divisions course is to meet the Federal Department of Transportation (DOT) training requirements for 49 CFR 172.704(a)(2)(i). Describe forbidden materials for transport. This DOT HAZMAT online course consists of 12 sections, which students will complete through our Online Training System (OTS). The course includes knowledge checks throughout the course to help ensure students retain important concepts. This course includes a 10 question final exam. Questions are randomly compiled from a large pool of possible questions. This DOT HAZMAT class was designed by Certified Outreach Trainers and meets the requirements for 49 CFR 172.704(a)(2)(i). Once the course is completed, you will immediately be able to download, save or print your Certificate of Completion which is provided in PDF format. We also mail you a PVC credit card style Wallet ID Card with optional photo, showing training course completion. The card will be mailed within 24 hours of course completion. Please note that this this HAZMAT DOT Hazards and Divisions course is not meant to replace company-specific or function-specific training provided by your employer on equipment use and procedures for your particular work environment. You must be trained by your employer on the hazards, equipment, engineering and administrative controls, safe work practices and emergency plans specific to your role and workplace. Employers need to evaluate employee needs for additional DOT hazardous material training and training in the use of personal protective equipment used on the job.